Quick note: The January "New Year Barrier" race in Little Rock has been moved to the 15th (from the 8th). This is reflected on the Arkansas Super-Prestige listing to your right. 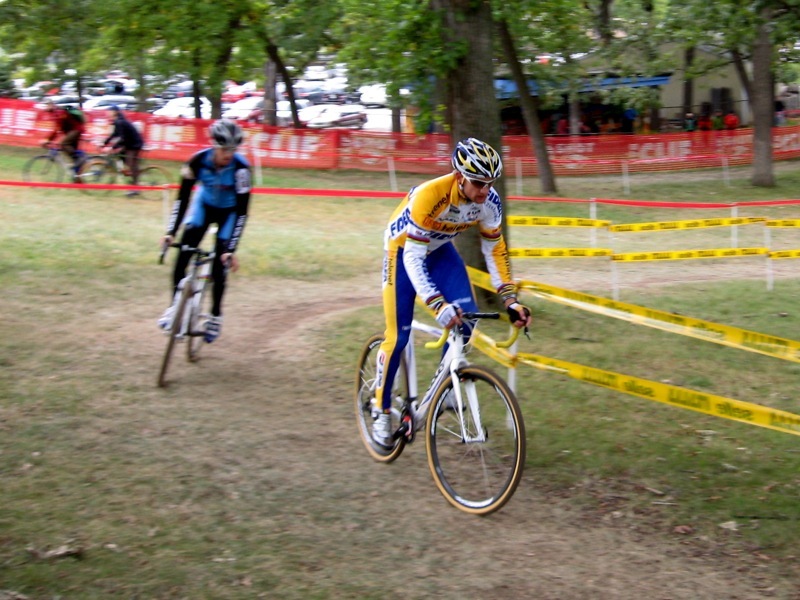 Katerina Nash was class of the field. She got a gap, extended it, and then teammate Georgia Gould attacked the rest but never was in danger of bridging. 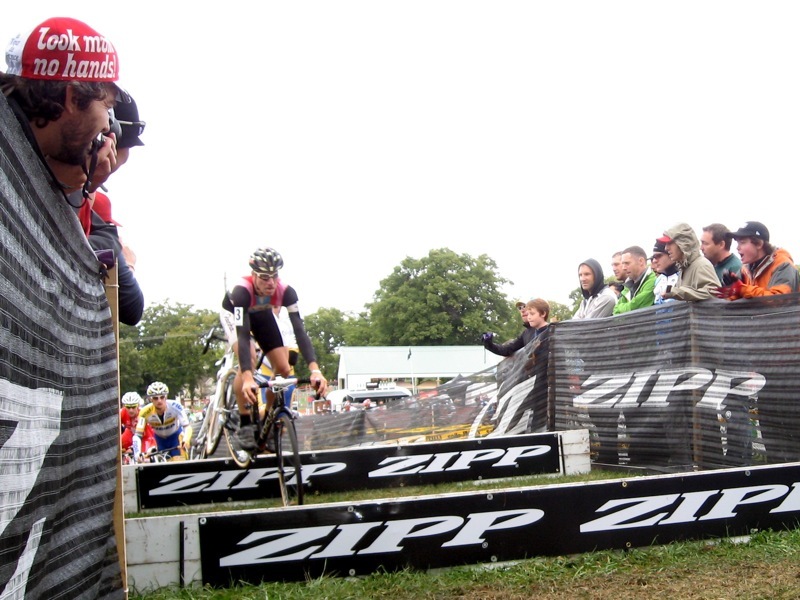 Jeremy Powers got the holeshot and bunnyhopped the barriers. He looked awfully strong. 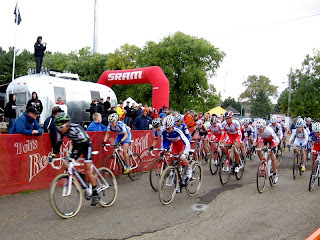 It ended up a three-way battle between Wellens, Powers, and Ryan Trebon. Wellens' teammate Rob Peeters did a lot of work countering Powers' attacks and then dropped to the second group. In the last lap, Powers faded, and Trebon just managed to hold off Wellens for the win. Fantastic race, and a great victory for Trebon. 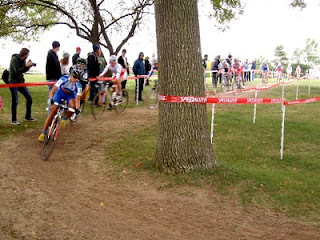 Due to a gnarly cold, a bout of Montezuma's revenge, a looming storm over the Midwest, and other factors, we decided to forgo Sunday's races and start driving south instead. We missed a mudfest Wellens victory. Alas. 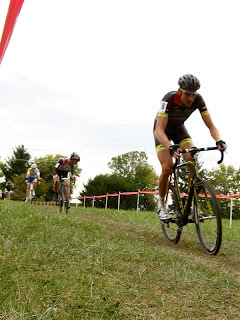 For more Cross Vegas coverage, click HERE. 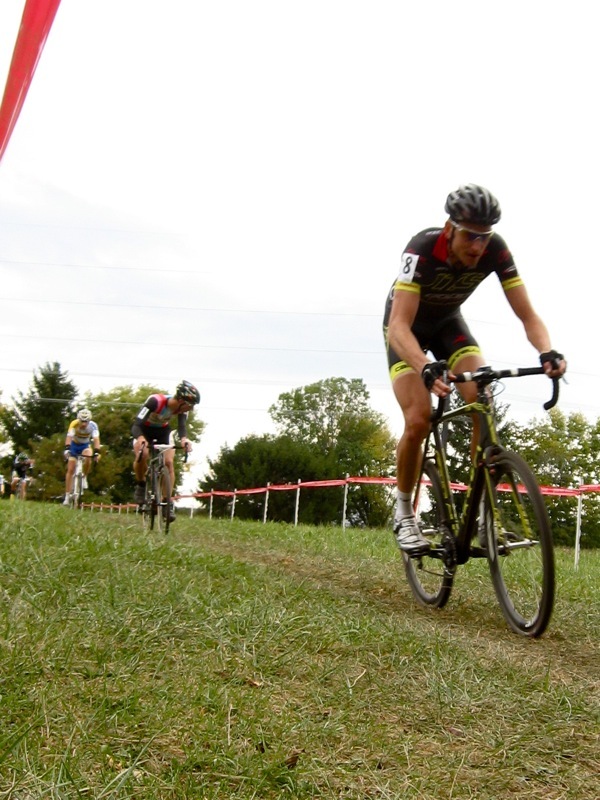 This fall and winter brings the inaugural season of the Arkansas Super-Prestige cyclocross points series. The ASP connects Fayetteville to Little Rock to Jonesboro to Memphis, and runs from mid-October through early 2012. 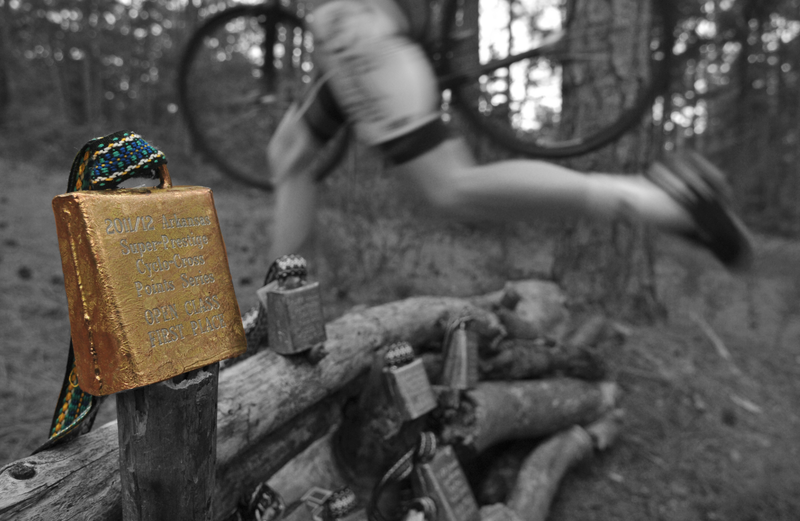 How do you know where and when to race? Easy, just bookmark this web site and look down the right-hand column. You'll also find official series rules, results, point tallies, photographs, and videos, updated on an ongoing basis. Want to ask questions, gossip, or talk smack? Go to the Arkansas Super-Prestige wall on Facebook. Engraved Moen cheering bells (click on above photo for close-up) three deep in each class. 1st to 9th places earn 20, 17, 14, 11, 9, 7, 5, 3, and 2 points, respectively. 10th place and lower earn 1 point. DNF or DNS earns 0 points. The Open class earns double points. Each individual gets two drop races. In other words, year-end points total is based on nine best races. A perpetual team trophy will be awarded. Bragging rights for the shop. There's a little over a month before the series opener in Fayetteville. A week later, we have an exciting weekend of racing and general bike-itude planned in Little Rock. Fall is coming. Be prepared! Sponsored by CARVE. 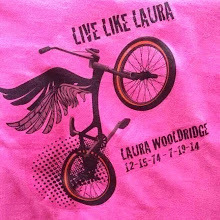 Cross bike, commuter, mtb, or road bike, run what ya brung. Every Monday night at 6pm in Allsopp Park in Little Rock. skills n drills week1 from Bully Otter Sports on Vimeo. 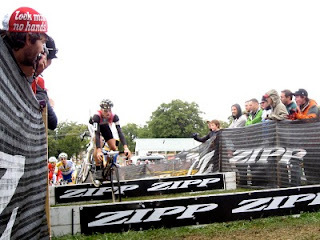 cyclocross barrier tutorial from Bully Otter Sports on Vimeo. Some sections are marked with plastic tape. If you go out to ride it, please be respectful of the other park patrons, and leave it alone after a rain.